Since the last edition, I have travelled to India and Sri Lanka to discuss collaboration in skills and training. This was an extremely valuable trip with the potential to provide long term mutual benefits for all. The Indian component of my visit occurred during the Australia Business Week in India. This event builds on the strong partnership between our countries and looks to develop new ways of working together to address skilling and workforce challenges. The relationship between Australia and India is of great importance with 60,000 Indian students choosing Australia for higher education study last year. However, India is increasingly looking to vocational education to build economic growth and India’s Prime Minister Narendra Modi has launched a Skill India Policy. India is now turning to countries such as Australia to assist with implementing this. India has one of the fastest growing economies in the world, and is set to be the third largest economy by 2030. They have set an ambitious target to have 400 million people skilled by 2025. Skills and training will provide opportunities for millions to realise their career visions, and is something that Australian providers are already having a role in. Tourism and hospitality are growing industries and India has a strong focus on micro-skilling to fill skills gaps and ensure there is strong industry alignment for qualifications. To see this first hand, I was able to meet with some of our Australian providers and discuss delivery of ‘Train the Trainer’ programs, which are helping to boost India’s capacity to train its own people to help drive economic growth. There is a lot we can work on together with India, but there are opportunities across the entire region. As part of this trip, I also to travelled to Sri Lanka - another country experiencing significant growth in their skills and training sector. Sri Lanka has a flourishing tourism and hospitality industry, which is being supported in part by the William Angliss Institute, Australia’s own internationally renowned hospitality training provider. 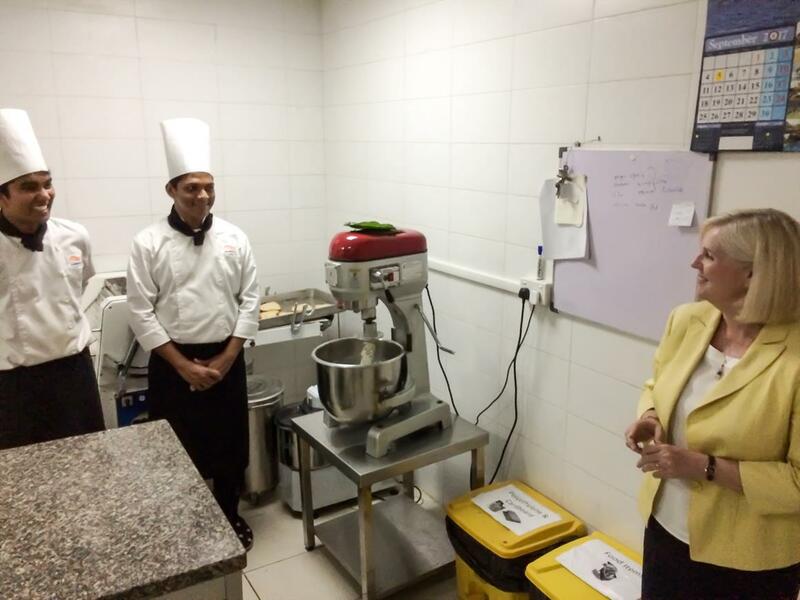 The institute has partnered with Sri Lankan providers at the Colombo Academy of Hospitality Management (CAHM). The academy delivers Certificate III to Advanced Diploma level qualifications in hospitality, including a program that is based on the ‘Trial-a-Trade’ initiative that been very successful here in Australia. I am proud to say Australia’s skills and training sector is very highly regarded in both India and Sri Lanka. We have many opportunities for Australia to make a big impact in both countries, with mutual benefits. 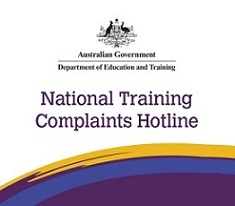 Article provided by: Australian Government Department of Education and Training. Individuals, businesses and registered training organisations from all corners of the nation will compete for countrywide recognition for their outstanding achievements in vocational education and training (VET) at the prestigious Australian Training Awards to be held in Canberra on 23 November. Visit the Australian Training Awards website to see who is in the running so far for this year’s Awards. Remaining categories are presently being shortlisted which will be completed in mid-October 2017. Victorian finalists in the above categories are to be announced after the Victorian Training Awards to be held on 11 October. A special edition of Skills@Work will be published listing all finalists after this time. To book tickets to attend, register here. The Awards are the culmination of state and territory training awards, with training award winners from each state and territory eligible to compete in aligned categories at the national level. 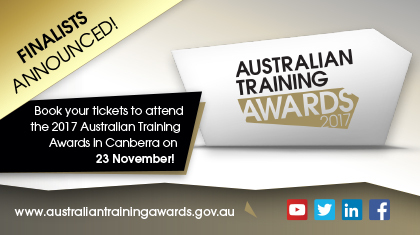 There are seven award categories that are available by entering the Australian Training Awards directly. 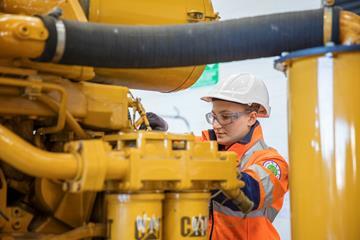 A 18-strong team of Skillaroos, including a record number of female competitors, are busily preparing and training hard to represent Australia in their different skills and trades at the 44th International WorldSkills competition, facing off against 77 countries in Abu Dhabi this month. Aided by their mentors, the Skillaroos will compete in categories such as 3D digital game art, beauty therapy, car painting, joinery, brick laying, landscape construction and welding. 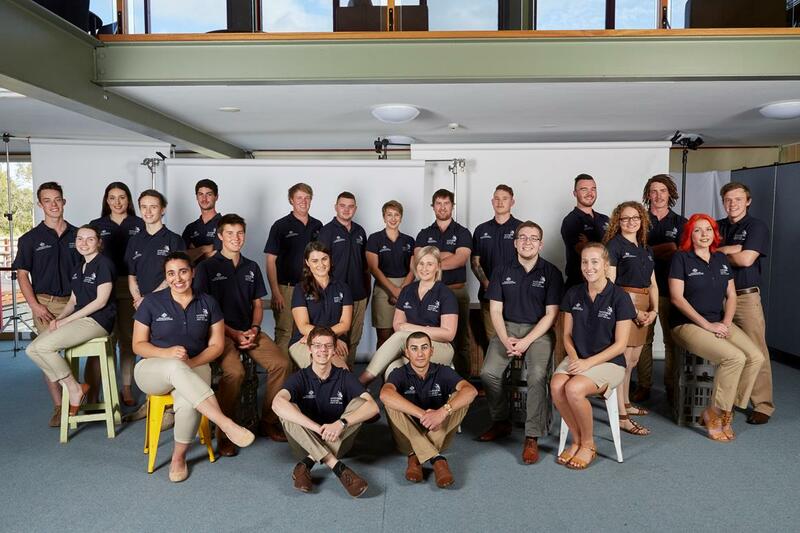 Some Australian Apprenticeships Ambassadors feature amongst the team including Lily Campbell, Nick Johnston, Dusti-Lee Franchi, Ryan Grieger, Brett McPaul, Gaby Ware, Louise Azzopardi, Joshua Morrissey, Alex Halls, Dougal King and Nathan McHugh. Good luck to the whole Skillaroos team! To read more about WorldSkills International in Abu Dhabi or browse individual Skillaroo profiles, visit the WorldSkills Australia website. Article provided by Department of Education & Training. Photos by WorldSkills Australia. All rights reserved. Used by permission. The Australian government-funded Australian Apprenticeships and Traineeships Information Service (AATIS) has released their new AAPathways website. This website combines the previous Australian Apprenticeships Pathways and Australian Apprenticeships and Traineeship Information Service websites, bringing the information hosted on both websites together in one convenient location. The new-look AAPathways website launched on the 31st of August. Updated site design, including targeting information to the needs of four groups: students, job hunters, employers, industry insiders. To find out more go to the new website www.aapathways.com.au. How will emerging trends like big data, changing ways of work, automation, increased urbanisation and increased connectivity affect workplaces and training? While no-one has all the answers, the Australian Industry and Skills Committee (AISC) has commissioned a new, practical future-focused resource – Future Skills and Training – to help Industry Reference Committees (IRCs) prepare for the future by exploring how current and future Australian and international trends may affect their industries and future skills needs. Future Skills and Training was developed by Miles Morgan Australia for the AISC’s network of 64 IRCs, which make sure that training package qualifications meet the needs of the sector they represent. The practical resource and workshop materials look at different future scenarios to help IRCs develop training for their industry. They are designed to prompt thinking about how trends and megatrends in society, business, technology, politics and the environment will impact workplaces and training environments and how industry might best respond. Two IRCs, the Information and Communications Technology and the Process Manufacturing, Recreational Vehicle and Laboratory IRCs recently piloted the resource and workshop session. Over the next few months, and with support from the AISC, IRCs will be able to choose how they engage with the resource and workshop. While the resource was primarily developed to support IRCs, it may also be of interest to anyone with an interest in vocational education and training and Australia’s future skills needs. Future Skills and Training is available on the AISC website. Registered training organisations (RTOs) and senior secondary schools that need to assess the foundation skills of their students to better target support now have a new resource available to them: the Foundation Skills Assessment Tool (FSAT). Funded by the Department of Education and Training, FSAT is an interactive, free online tool designed to identify and measure an individual’s foundation skill levels (English language, literacy and numeracy skills as well as employability skills). These skills are fundamental to participation in the workforce, the community and in adult education and training. FSAT assists in identifying any gaps in skills and knowledge that need to be addressed. This will enable trainers to target assistance to students at the areas where each individual may require additional support. The department is currently working with the Australian Council for Educational Research (ACER) to finalise and validate FSAT. FSAT was made available to RTOs and senior secondary schools (for year 11 and 12 students) in September 2016. Through this validation process, the tool will provide trainers and educators with a valuable indication of a learner’s foundation skills. While there has been strong interest from RTOs and senior secondary schools to date, the department is keen for more RTOs and senior secondary schools to use the tool. By participating, you will be helping to ensure that a fully validated, final and free version of FSAT is available as quickly as possible. Further information regarding FSAT, including answers to ‘Frequently Asked Questions’, and guidance on how to register, is available here. PwC’s Skills for Australia Celebrates National Skills Week 2017! For the first time, PwC’s Skills for Australia celebrated National Skills with a campaign to remind people that skills are the backbone of Australia’s economy. Employees from PwC offices in Brisbane, Sydney and Melbourne got a taste of what career pathways are available through Vocational Education and Training (VET), and the new opportunities arising in the dynamic sector. PwC CEO, Sara Caplan said events like National Skills Week were the perfect platform to showcase skills and training in environments that may not traditionally be familiar with VET. Having a workforce with the right skills is vital to the success of Australia’s $17 billion meat industry. Our meat industry is a global success story – we export to more than 100 countries, and are the world’s largest exporter of goat meat, and the second largest exporter of beef and sheep. 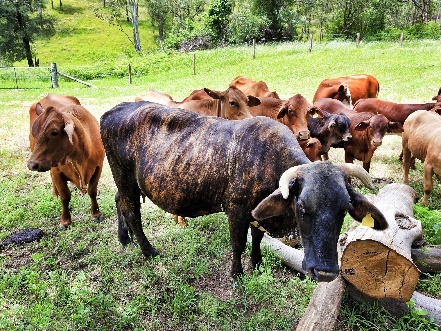 For the meat processing sector - a mix of around 350 small, medium and large producers - to maintain its local and global success, it must comply with strict international compliance guidelines and safety standards. Vocational education and training (VET) offers employees the relevant skills, up to certification standard. Geoff Yarham has been involved in safety and training programs for more than 30 years and works as Senior HR Projects Manager for meat processor Australian Country Choice. The company is an exclusive supplier to Coles and a number of export customers, as well as employer of more than 1,200 Queenslanders. He knows just how important it is for businesses to have access to nationally recognised training, so employees and companies can continue to meet global regulations and safety standards. “We are one of the most regulated industries in the country, with a strong focus on hygiene, animal welfare and individual safety,” he said. CPCCCM2010 - Work safely on scaffolding higher than two metres - now deemed not equivalent to CPCCCM2010B. The changes will correct the mapping of these units to remove their equivalency status. 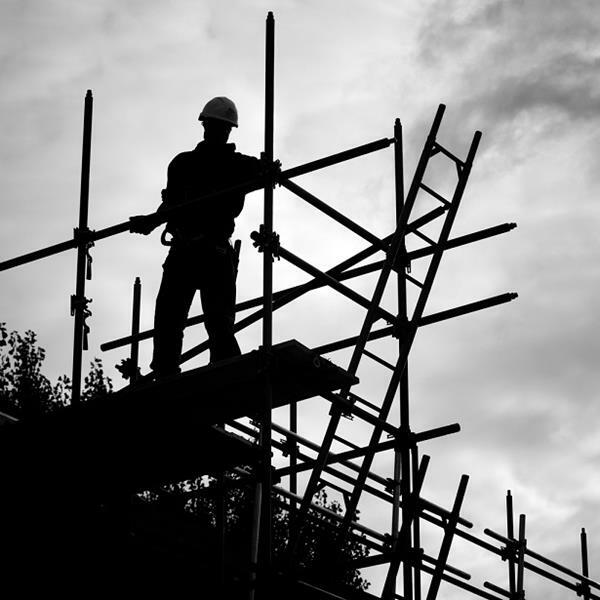 The equivalency status of Work safely on scaffolding higher than two metres CPCCCM2010, should have been ‘Not Equivalent’ with CPCCCM2010B – Work safely at heights due to changes to the title, application, performance criteria, performance evidence, knowledge evidence, and assessment conditions from the original content of the superseded unit. The unit CPCCCM2010B – Work safely at heights can continue to be taught and the teach-out period associated with this unit has been removed. World Teachers' Day is held anually in October and is an opportunity to acknowledge our teachers and say thanks for the significant contributions they make in our classrooms and communities. 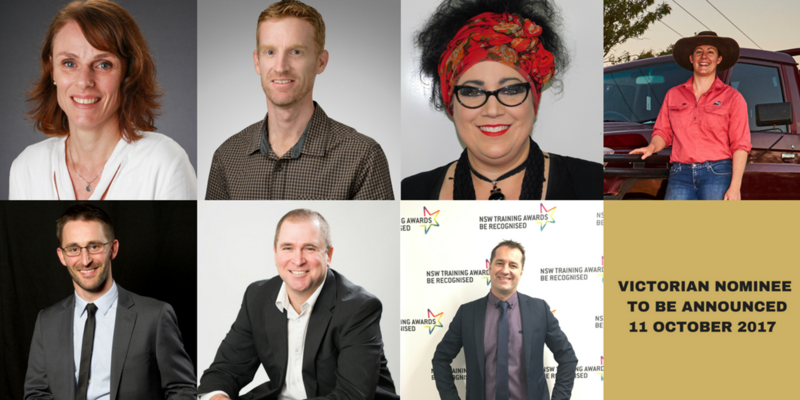 To celebrate and recognise the role of teachers in society, we shine the spotlight on finalists in this year’s VET Teacher/Trainer of the Year Award which will be presented at the Australian Training Awards on Thursday 23 November 2017 in Canberra. *The Victorian Training Awards had not taken place at time of preparing this article. To read about the Victorian nominee for this category, visit the Australian Training Awards website after 11 October 2017. VET Alumni members comprise Australia’s best VET students, businesses, teachers and registered training organisations. They know first-hand the value in investing in VET as either a career, to grow their business or to enhance their training services. Visit VET Alumni to find out more. 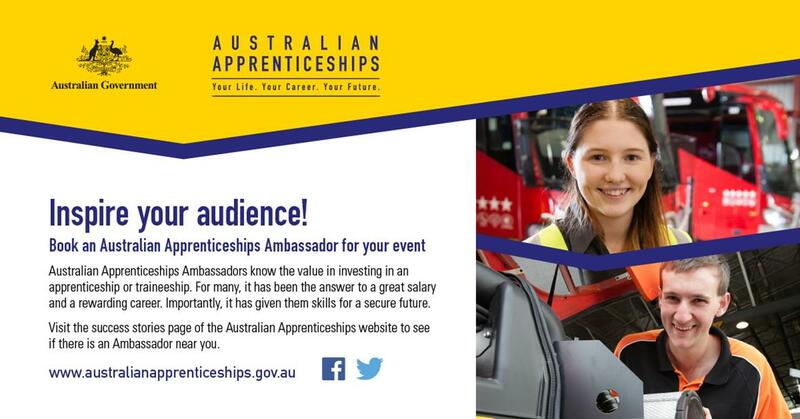 Australian Apprenticeships Ambassadors know first-hand the value in investing in an apprenticeship or traineeship. Their inspirational stories prove that Australian Apprenticeships can provide skills for a secure future, and a rewarding career. 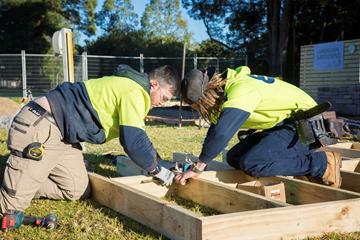 Australia now has over 250 Australian Apprenticeships Ambassadors working in many different occupations, of many different ages and backgrounds and from most parts of Australia. A selection of VET related useful links and resources at your fingertips. If you would like to provide feedback, supply an article for inclusion in the next edition or join our list of subscribers, please email skillsatwork@education.gov.au. The next edition will be published in November 2017. Submissions are due by Friday 20 October 2017.